Voters are being misled by Initiative 1631 proponents into thinking energy companies, not energy consumers, will pay the carbon fees. Regardless of how one feels about the initiative, this will erode support for environmentalism and understanding of climate change. Among the whoppers being told to Washington voters this election season, the biggest is the Yes on 1631 campaign’s assertion that “big polluters” will pay the carbon fee it’s proposing. Don’t be fooled. Whether you’re for or against the “fee,” know that oil companies won’t absorb the cost. They’ll pass it to consumers, whose cost of living will increase as housing, food, heating and transportation become more expensive. 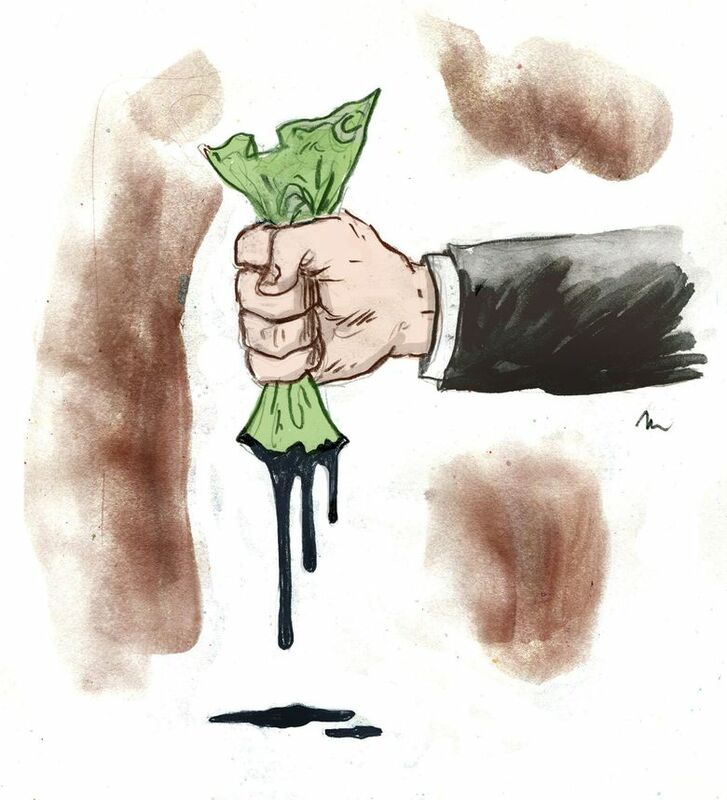 Pro 1631: Seattle Times editorial columnist Mark Higgins says, "Vote yes: Forget ‘Big Oil’ scare tactics"
Discussing this with I-1631 proponents is exasperating and insulting. They won’t deviate from the talking point that big polluters will pay the billions, even though that’s demonstrably misleading. Instead, ask Kriss Sjoblom, economist at the nonpartisan Washington Research Council and an economic adviser to Gov. Jay Inslee. “It’s going to get passed on,” he said. The council projects what I-1631’s escalating tax will add to residents’ energy costs. Five years out, in 2023, it adds 18 to 20 cents per gallon to gasoline and 13 cents per therm of natural gas. That rises to 49 to 55 cents per gallon and 35.5 cents per therm in 2035. There’s a surplus of economic research on how energy taxes are passed on. Like a 2003 paper by Hayley Chouinard at Washington State University and Jeffrey Perloff at the University of California, Berkeley. It said federal gasoline taxes fall equally on consumers and wholesalers; each absorbs about half the cost. But state gas taxes are entirely passed on. Advocates also deflect the question of who pays by noting oil companies are spending more than $20 million to defeat I-1631. That says nothing about who pays. If anything, it shows advocates want emotions and biases to override common sense. Washingtonians spend around $21 billion a year on energy. For argument’s sake, assume I-1631 reduces consumption 1 percent (though British Columbia’s consumption grew despite its carbon tax). That won’t stop global warming. But it reduces energy sales by $210 million yearly. Preventing such losses is worth $20 million to energy companies, except for the handful getting a cut of I-1631 proceeds. It’s probably worth $20 million for them just to avoid the hassle of passing those carbon fees to customers. These inane attempts to convince voters that energy providers, not energy consumers, will pay are wishful thinking. Or a tactical decision that assumes Washingtonians are too dumb to realize they’ll get the bill. They also deflect questions about carbon taxes’ economic harm, especially for middle and lower classes that spend a higher share of wages on energy. Maybe sponsors are just joking: Large emitters pay — meaning not just Chevron but also you, me and everyone else. Per capita, Americans emit 15.8 metric tons of carbon dioxide yearly, so we’re all large emitters. Get it? It’s medieval policy: Force commoners to pay indulgences to atone for their sins, empowering rulers and enriching their patrons. It works as long as people remain fearful and uninformed. Seriously, though, attempts to fool people into thinking they won’t pay, and the risk of voters’ remorse when they start paying, should be a concern to environmentalists in particular. Washington is already investing in clean energy and most things I-1631 would fund. It would have a negligible effect on climate change. So the best argument for I-1631 — besides concentrating political power and transferring household wealth to special interests ­— is symbolic, to encourage other states and Congress to tax carbon. But that fails if I-1631 wins because voters were duped into thinking only “big polluters” pay. That won’t prove we’re ready to pay for climate solutions — it will demonstrate that a campaign can bamboozle voters. It’s winning by reducing people’s understanding of how their choices and consumption contribute to global warming, and encouraging them to blame others. Environmentalism loses support if people feel misled and pick-pocketed, and climate-change deniers arguing it’s a sham are emboldened. Washingtonians are concerned about global warming and the environment. They should be trusted to decide, based on facts and not duplicity and emotional arm-twisting, whether I-1631 is a reasonable plan and worth its high cost. That should start with proponents acknowledging it’s a tax on the people. Still not convinced? Read the annual report of Andeavor, the Texas oil company formerly known as Tesoro operating an Anacortes refinery. It doesn’t waffle about who pays carbon fees. “The cost for carbon emissions is being passed through to consumers,” it says, discussing California’s cap-and-trade program. New responses are needed to address global warming. But obfuscation about who would pay the billions I-1631 collects hurts the cause more than it helps.